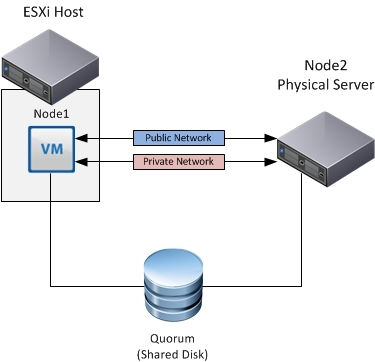 Being able to gather and analyse requirements, then size the compute design based on those requirements is one of the key functions of any virtualisation project. In terms of evaluating compute requirements, you should use the information gathered from your requirements analysis phase to factor in workload, availability and estimated growth. The following factors should also be considered when sizing yours hosts, for example: Host performance, budget, datacentre capacity (rack, power, cooling etc…), infrastructure (network connectivity, storage connectivity etc…), security – PCI-DSS compliance (HIPAA, SOX, PCI etc..), scale-up / scale-out deployment strategy. VMware Capacity Planner: A hosted service available to VMware partners, VMware Capacity planner collects resource utilisation and compares the data against industry values. Platespin Recon from NetIQ: Workload analysis with remote data collection. Cirba: Utilisation analysis, with normalization leveraging industry standards from SPEC.org. Linux: df, iostat, top, mpstat (use sar to output information to a datafile). Lets assume that through your investigations you have you have identified 200 workloads which could be virtualized or migrated to a vSphere environment. As mentioned before your compute design should account for any future growth (lets assume 25% growth over 5 years). Therefore we have determined that 64,000MHz will be required to support the 200 workloads. Running any solution at 100% utilisation is never recommended, lets assume we’d like to have the system operating at 70% utilisation. It’s worth pointing out that resource utilisation should be continously monitored, its rare that workloads remain static. Here you have a few decisions to make. Lets assume at minimum the design requires n+1 availability, this means that in the event of host failure you could have enough compute capacity to support the failure of one host in your design. However, you may not be able to satisfy the availability requirements during periods of host maintenance, so you may want to use n+2 availability. 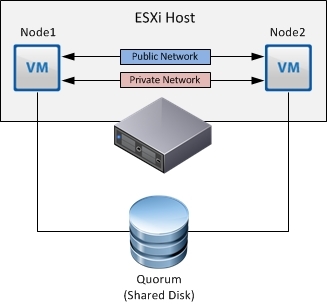 Number of hosts needed + availability requirements (n+1) = 6 ESXi hosts. This identifies the amount of assigned vCPUs to the number of logical CPU’s present. For CPU intensive workloads use a lower vCPU to core ratio, this may impact your VM-to-host consolidation ratios so bear this in mind. Note: This does not account for VMware TPS savings, which is typically around 25%. For this calculation we will assume the host has 256GB of RAM installed operating at 70% utilisation. 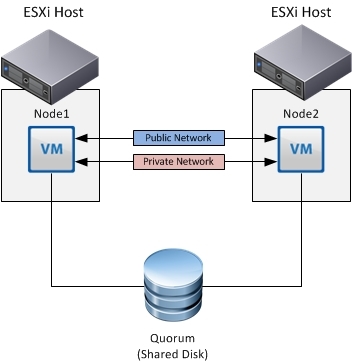 We have therefore established that we require six ESXi hosts to satisfy the compute workload, annual growth and availability requirements. In a situation where the CPU or RAM produces a higher number of host, always choose the higher value in order to support both min & max CPU/RAM requirements.